In which LG did that citation appear? I have found two LG entries for him 31-10-1902p6908 DCM and 17-01-1902p383 MID. 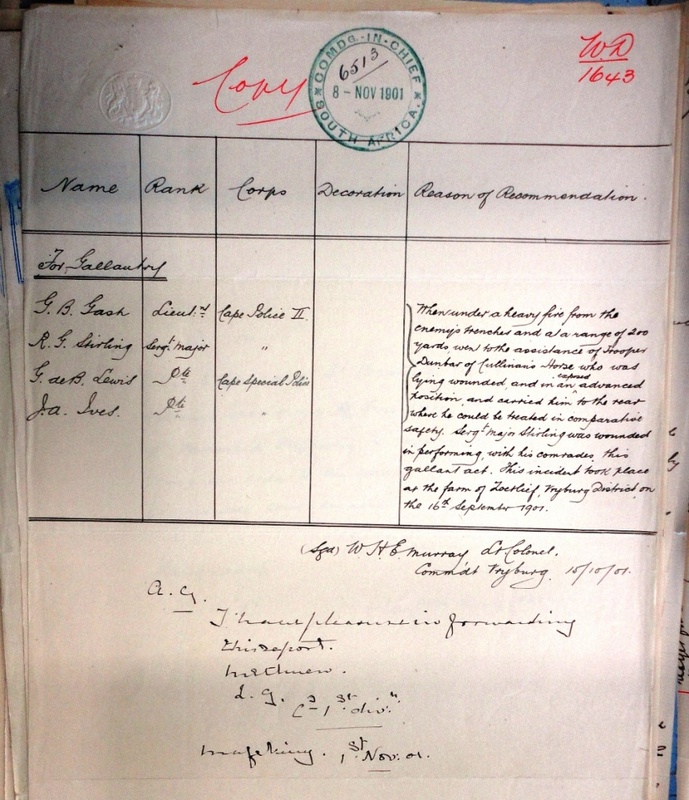 The KSA was sent in 1906 to his step-father, Mr Joliffe, in Pmbg. I assume you sourced these medals in Natal? I have them all at home in my archive. Where did you source the original recommendation? I'll be happy with Sterling Henk. I looked through my notes and the original recommendation came from Cam Simpson who described having it as a "stroke of luck"